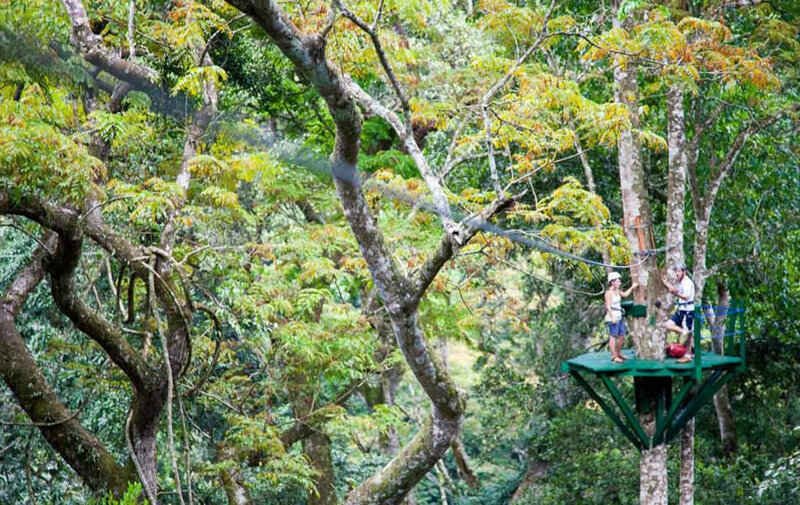 Uganda Mabira Forest Super Skyway "Zip-lines" - Eco Specialists Tours Uganda Ltd. 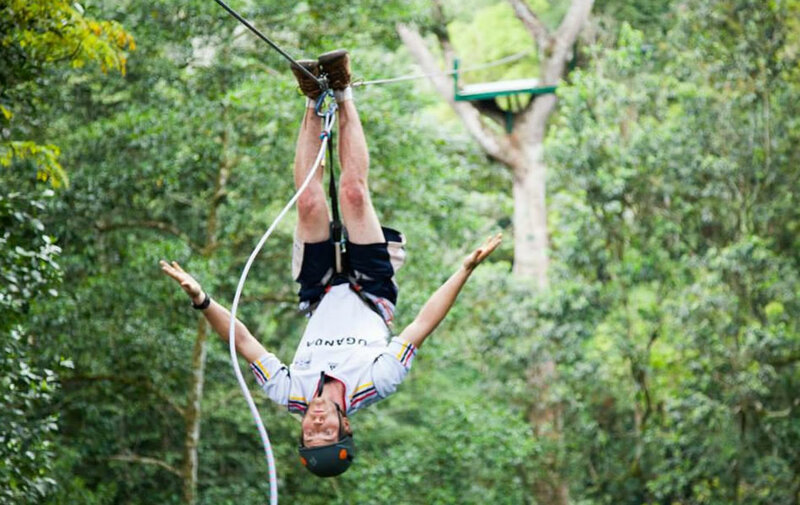 Experiencing the Mabira Forest canopy just makes you behave like monkeys! The first of its kind in Uganda. 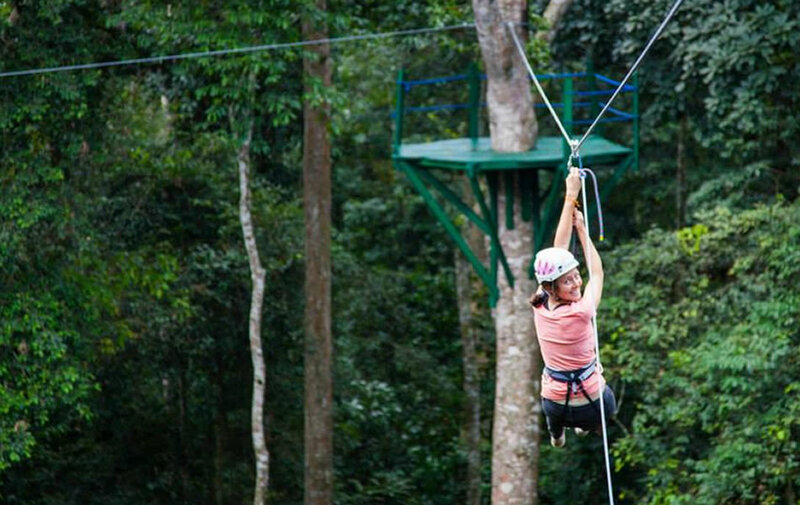 The Mabira Forest Canopy Super Skyway is a canopy "zip-line" system that sends you soaring between the tallest trees in the rainforest. Located 44kms East of Kampala City, outside of Lugazi town at the griffin falls camp , the skyway makes for you a great day. You are led to pass through ancient trees by experienced Sky Captains / Sky guides across a network of 5 zip-lines that stretches 250 metres across River Musamya. Using strict International safety standards with imported climbing gears and art high ropes from America, participants are belayed up the first tree, brought through the whole system and repelled on a 78m diagonal zip. 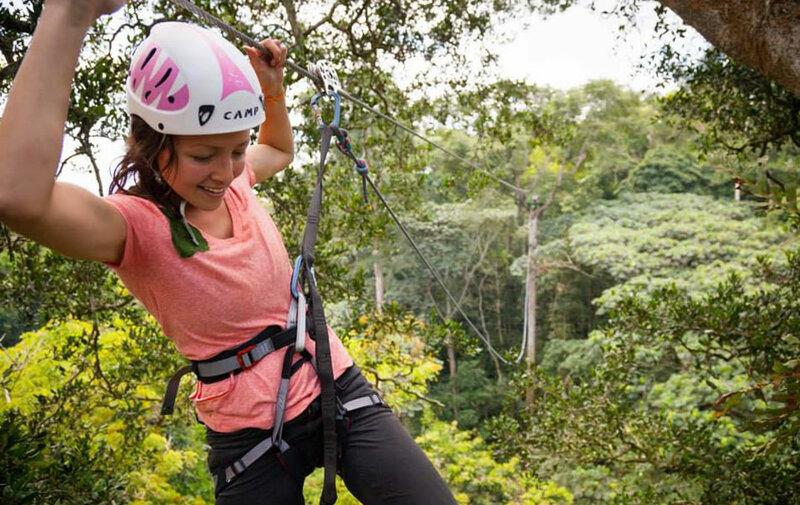 High up in the canopy one is able to enjoy a view of the forest layers, mammals like grey cheeked mangabeys and red tailed monkeys, birds like palm nut vultures, African fish eagles, great blue turacos and the roaring griffin falls, making your zip a memorable day! The Sky way was designed and certified by the Uganda Engineers Registration Board and insured by the National Insurance Corporation.